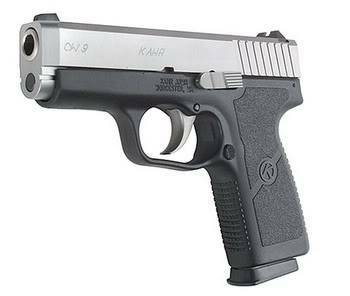 The Kahr CW9 is a little 9mm pistol that has caused quite a stir in the concealed carry world. It comes from a line of handguns known for simplicity, quality and dependability. But this gun, while being desirable from the standpoint of size for concealing, price, and simplicity, has had mixed reviews. People seem to grudgingly end up liking it though most reviews have some mention of flaws that are consistent from review to review. This article is a summary of a wide range of reviews. The Kahr CW9 is a sleek compact design meant to be carried concealed. It fits just about anywhere and the polymer frame makes for a lightweight, easy to manage fit for just about any style of dress. The grip frame is compact meaning that most people with average or larger hands will have a finger dangling off the bottom of the grip. For this type of gun, there is not much to consider when talking function and controls. 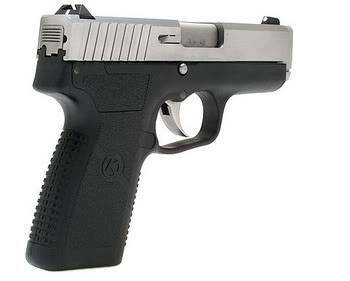 All there is on this Kahr are a magazine release and slide release. Simplicity common to what are considered "double action" (questionable but not the subject of this article) semi auto pistols. Most reviewers report a trigger action that is smooth and easy to manage with pull weight coming in at about 5.5 pounds. Predictably, most reports of shooting the Kahr CW9 gave the best accuracy results with 115 grain bullets. It's common to reduce the recoil of the heavier 148 grain ammo that is typical in 9mm practice and self defense use. Accuracy with the pistol is generally satisfactory and what one would expect in a gun this size. Chronograph tests show little difference in the velocity of ammo fired through the cut rifled barrel of the CW9 and the polygonal barrel of the more expensive K9. The design of the Kahr CW9 is simpler than that of the P9 and the production costs here are largely responsible for the reduced price of the gun. The pinned in front sight, cut rifled barrel, fewer machining operations, simple - one line engraving, and some mlm parts account for a price that comes in somewhere around $150 less than its more expensive cousin, the K9. Now to the issues of what really counts. The gun generally is reviewed as a firearm that is passable as a shooter, but that's not what it's designed for. It's designed for concealed carry, and the dependability issues should be cause for concern. First, Kahr recommends a 200 round "break in" before expecting the gun to perform dependably. For those regular readers of this web site, you already know how I feel about that. Issues that regularly are included in reviews: First round not chambering, general failures to feed, failures to eject. The gun does consistently seem to improve during the "break in" process, but regular reports of continued periodic failures continue to show up. Important specs for the Kahr CW9: Capacity: 7+1; Barrel length: 3.6", weight: 17.7 ounces with empty magazine; pinned polymer front sight and drift adjustable rear combat sight. What would I do? After these reviews where I have not actually tested or even shot the guns, the question will still inevitably come up. With the Kahr CW9, I've already done it. I went to a local retailer with all information I have on this gun. I handled it, dry fired it, gave it a good looking over and ...... passed. There are multitudes of great guns on the market today. Even at Kahr's kinder, gentler price structure, there are plenty of comparably priced guns out there that don't require a 200 round break in. I see no reason to put my money into the Kahr CW9. NOTE: This is a summary web gun review about a gun that I do not own and have had no personal experience with. 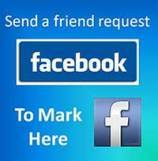 I have researched reviews and information from trusted sources and summarized it here.